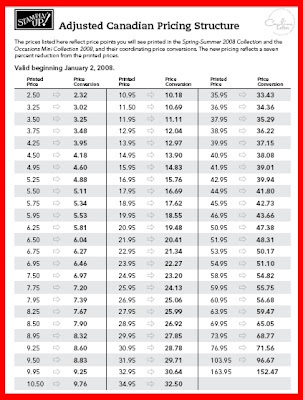 Craftin' Caro: New Canadian Price Chart for 2008! Thanks Caroline! This is great news! Just printed it off and am waiting for my new catalogue from you in the mail!